Below we publish a call for solidarity issued by the Nigerian comrades of the Pan-Afrikan Consciousness Renaissance. The Revolutionary Communist International Tendency (RCIT) unreservedly supports this call and adds its voice to these legitimate demands. The international workers movement and popular organizations must not remain passive but demonstrate their solidarity with the arrested Nigerian students. The global reactionary offensive of the ruling class results, among others, in an increasing number of attacks against democratic rights in Africa. This also leads to more and more incidents of repression against students at Africa’s universities. The RCIT comrades from Zambia have reported about the mass arrests last week in Lusaka and we know examples of repression at universities also from comrades in other countries. We therefore ask African revolutionaries to consider the idea of building a joint international revolutionary youth movement, capable of organizing solidarity campaigns, not only in their respective countries but also on an international scale. 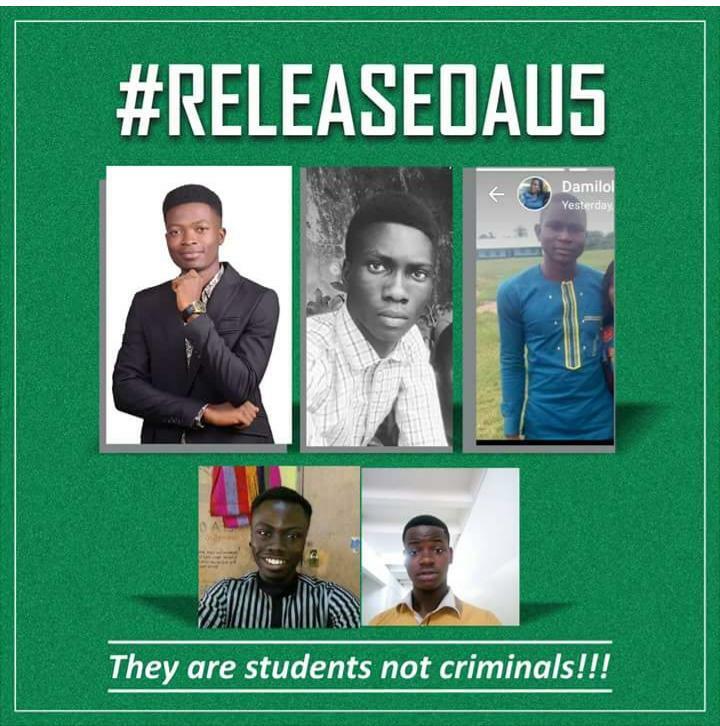 Pan-Afrikan Consciousness Renaissance condemns the unlawful, illegal and inhumane arrest of five student-activists of the Obafemi Awolowo University by Prof. Eyitope Ogunbodede led university management. Since the 21st of March 2018, these students have been arrested by the university management over the crisis of accommodation. Our movement therefore demands for the immediate and unconditional release of these students. We are also demanding that the university management immediately halts the recent anti-students hostel policy. The abovementioned Pan-Afrikan movement also demands for the immediate restoration of the illegal proscribed Students Union of the university by the management. In the same vein, we are also calling on the university management to recall all student-activists that are currently serving unjust suspension and also expulsion order. Aluta Continua!! Victoria Acerta!! Izwe Lethu E'Afrika!! Amandla! !